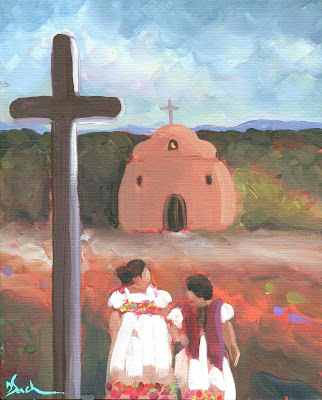 This little painting is two senoritas on their way to a little church. I am not yet happy with the church itself and will be doing some revisions today. I think these two ladies are engaged in conversation, maybe they are talking about what they will have for lunch after the service is over. The finished painting will be posted and offered for purchase tonight. I am excited to be finishing up commissions and getting back to some daily paintings. And on Monday, I am starting my first ARTFEST 2010 painting! 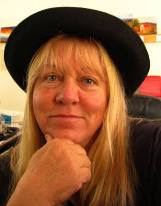 Be sure to sign up to watch at my new blog: www.artfest2010.blogspot.com. Dee, I love this painting so much.